It’s time for a new outfit post today! I got this pretty metallic TEVA sandals a while a go but I really wanted to style them in a boho-vibe casual summer look. When I went to Texel I found the perfect combination! So today I am showing you my original summer outfit with my TEVA sandals, shot in the sandy dunes of Texel. A summer outfit with layers and shorts, two of my favorite things! I decided to go for this combination as I love how the dark black and red colors match with the beige long waterfall cardigan. Also I feel like a shorts combined with a longer cardigan like this gives the whole look more of a bohemian style. The outfit itself is not at all complicated or super high fashion, a lot of people can wear this and style an outfit like this with items they already have in their closets. Two weekends ago I went to one of the coolest events I have ever been to as a blogger. I went to Extrema Outdoor together with M.A.C. Cosmetics!!! Later this week I will tell you more about the event as it was a pretty amazing experience! Today I am showing you my Extrema Outdoor outfit. This black outfit with red and pink details was perfect for this festival day as it was really hot outside and I wanted to be able to dance around feeling completely free. To make my Extrema Outdoor outfit complete I decided to wear my luxury Mochila so I could bring all the right festival essentials. The sun was shining very very bright so sun lotion was required, as was enough water, sunglasses and of course my camera! I had a huge blast this day and I feel like my outfit looks pretty cool! What do you think of my outfit?! Good morning / Good afternoon! I’m still a bit sleepy because yesterday I had an amazing day at the ilovefashionbloggers Q&A event with the fabulous powerwomen Negin Mirsalehi, Linda Tol and Yara Michels. All of these bloggers are such an inspiration for me but Yara and Linda are also huge examples for me business and career wise! Today I want to share this trend report collage with you, Ibiza / boho festival outfits are totally hot right now! The festival season has started already and if you have not gotten your full festival look yet you should definitely check out some of these items you can see above. 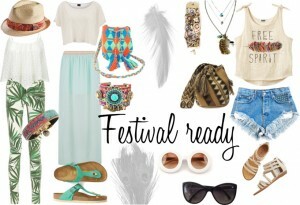 What do you guys think of this festival fashion collage? It’s the middle of the week so time for some lovely inspiration to get you through the last three working days! 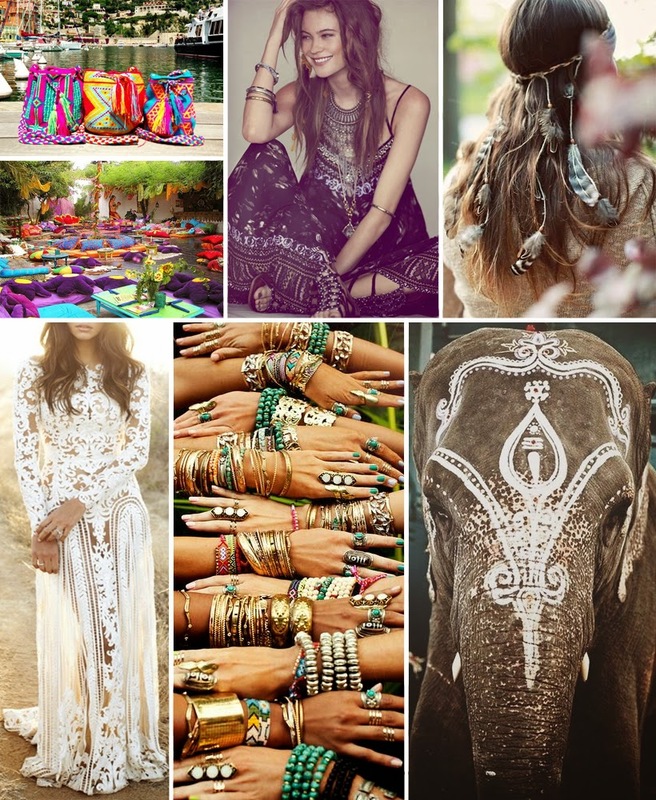 Today my Wednesdays Pinspiration article is very bohemian chic. I have always loved fashion with a story and a background. For example the Mi Pacha shoes Mochila bags from My Mochila by Isabelli! <3 I love that ethnic fashion is easy to combine with basic outfits, other ethnic fashion trends and that is mostly super colorful. 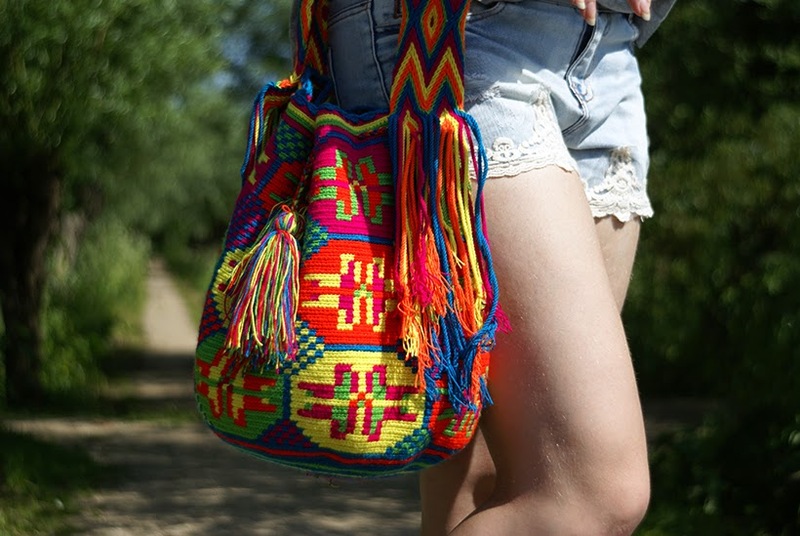 The collage you can see above shows how you can easily match boho chic items with Indian style bracelets, Colombian Mochila’s and Ibiza style hairbands. Woven items, silver embellished jewelry, lace, feathers, dreamcatchers and leather make a great combination. 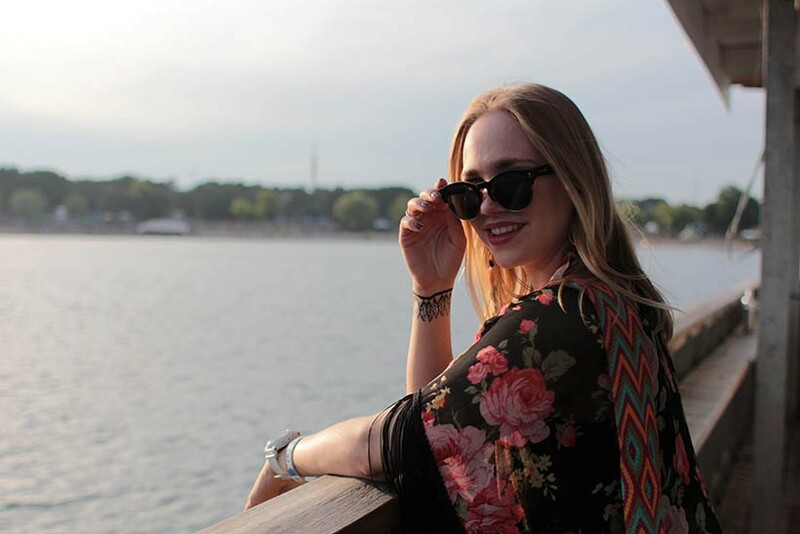 Wearing some of this bohemian items you can make every outfit festival and summer ready! 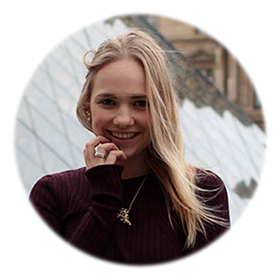 I know for sure that I have found a new love in boho fashion, and how about you? Funny thing is, the same happened when I tried on this cute festival hat and so I took it with me. My first hat, yay! Finally this is the total outfit I wore that day. I am wearing my new VOGUE tee (Go get the June issue of the Dutch VOGUE and you will have one yourself! ), Primark lace and denim shorts, BOHO hat, My Mochila bag by My Isabelli, jewelry from Indonesia, my Noosa Amsterdam bracelet and my easy flat Birkenstocks.